This is the Ladies Lashed FT or fast track or speed lace, you decide what you would like to call it, version of the classic Lashed boot, with 2 independent zones to tighten your boots with an upper and lower zone to get your exact fit. ThirtyTwo's all-star Lashed comes in a great womens package with normal laces and Inner Ankle Lacing system and is one of the best selling Thirtytwo boots. Thirtytwo now come with 1:1 Lasting to give you the best fitting boots. 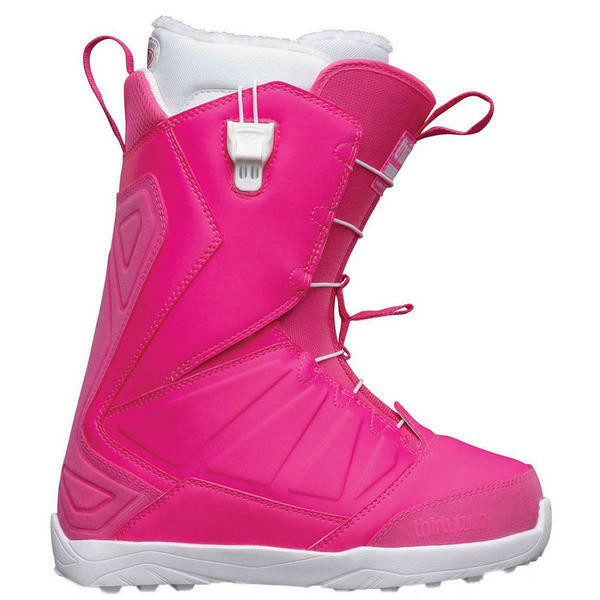 This Snowboard Boot comes with mid flex and a long list of features as you can see below. 3D molded tongue - Wraps around the foot for easier lacing, improved fit and heel hold. Excellent all mountain boot, for women.